It is the last week of Robyn’s challenge, ONE FOUR CHALLENGE – NOV WK 4, and I have my image ready for it. I have to admit I was a bit lost with the image this week. It is hard to come up with four different ways to do an image. Anyway here is my image. I don’t really know what I was going for here. I think when I do my next image I am going to have to find a better image. I decided to try using some blur to create an effect. I don’t know if it really works, but it was fun to see something a little different. I am making this short, I will also include a gallery with the original and the other images, so you can see which ones I’ve done. Robyn has also suggested that we include a poll, I would like to, but this blog won’t allow it, so no poll here. So you can go to Captivate me and check out ONE FOUR CHALLENGE – NOV WK 4 – POLLS.. AND DECEMBER’S CHALLENGE, there will be pingbacks there so you can also see the images from other people. Monochrome Madness is happening again on my other blog and this week I thought I would try reversing the processes again, so I picked my image and processed it as a black and white shot. Once I was happy and knew that this is the image I wanted to do for Monochrome Madness this week, I think I saved it, and resized it for MM38. I felt good about this image so I went back to the saved full size image and then reversed the process that I had used to make it a colour image. I am really starting to like this reverse processing. It gives the colours an interesting feel, or something like that. It over saturates them slightly, and can give the whole image a surreal feel. Though it doesn’t look much different to the original one that I did. It is proving to be an interesting thing to do. I have done it on some other images, but it hasn’t always worked out so well and can look a mess. I think it is something I will have to keep mucking around with. Week 3 of Robyn’s challenge, from her blog Captivate me, and her challenge ONE FOUR CHALLENGE NOVEMBER WEEK 3. I have gone back to my original image and had another go at trying to process the same image a different way. I did the reverse thing again this week, like I did for Monochrome Madness last week. So I got the original image, and made it black and white and worked on it as a black and white image, and then when I was done, I went back to where I had converted it to monochrome and made it colour again. It doesn’t always work well doing this, but sometimes it really makes the colours stand out, I like that. I’m not pleased with everything I did to it, that is normal, but I think one of the things that I love about this challenge is how you can learn things. It is like you get to just play and it doesn’t have to be serious. Robyn did well coming up with this. One week to go, and then I think we start again, will have to check with Robyn on that. It has been good fun and I’m looking forward to finding another image to work on. I don’t think I picked well this time, but that has made it more of a challenge which hasn’t been bad. I will have to spend some time working out what I will do to this image for Week 4. Remember to go to Robyn’s blog and her post, ONE FOUR CHALLENGE – NOV WK 3 and look at her post, and the others who have participated in the challenge. I thought I might do what Robyn has done and give you a gallery with the original and the different changes. For the image that I did today for Monochrome Madness 37 I thought I might go back into the processing and see what the image would look like if I changed it back to a colour image. It is almost like doing in reverse. Usually you have the colour image first, but I have to say I quite like how this turned out. It is quite surreal. The smooth water really makes the image, though it was so choppy that I am so surprised that I was able to get it like this. I still like the monochrome, and am really happy with that one, but I also like this too. I like them for different reasons. You can make up your own mind. Don’t forget to to Monochrome Madness 37 and check out all the other fantastic images that are there and then take a look at all the blog and links. It is week 2 of Robyn’s challenge the One Four Challenge and I thought I would put it over here on this blog this week. I am looking forward to seeing what I come up with each week for it. This week I tried to give the image a vintage feel. I have made it sepia and put some textures over the top. It hasn’t all worked out the way I had hoped but I don’t mind it. I love textures and like the way they can transform an image. Though they have to be used sparingly, not good to use them too much. They are great for making images look vintage. There are details on Robyn’s blog Captivate Me about doing this challenge, and if you want to see other great entries then go to ONE FOUR CHALLENGE – NOV WK 2. If you want to see my first weeks entry into the challenge then please go there, Quiet Thursdays – Robyn’s One Four Challenge. For my post today, Slowly Converting to Black and White, I thought I might take a look an image that I took last Friday morning at Point Lonsdale just after sunrise. It is the image I am using for Monochrome Madness tomorrow, which you can find on my other blog. I thought I would show the orginal as it was shot, no processing. Then take a look at the processing I did for it for my blog post Weekend Wanderings – Point Lonsdale Through Grad ND Filter. Then, how I decided to make this image a black and white image for Monochrome Madness. So this is the original. It is pretty much straight from the camera. I did straighten it a little, but that is about all I did. This is the colour image after I had finished processing it. I have brightened up part of it and tried to bring out the sunrise colours. I have brought the clouds out more. Then as I was looking for an image to do for Monochrome Madness, this was one of the ones I decided to try in black and white. I obviously did even more work on this one. I lost a lot of detail in the jetty by converting it to monochrome, so I worked quite a bit to get more light on the pier. I like the way it brings the boards up more. I did do other images, but I decided to go with this one after I put the image up on Facebook and Google+. On both platforms the image got lots of attention and seemed to be enjoyed by lots of people, so it seemed like a good idea to use it for Monochrome Madness this week. This week is Monochrome Madness over on my main blog, so today I have been trying more black and white photography, trying to find a good image for MM35 on LCP Blog. I went to the Black Spur, which is a rainforest area on the road between Healesville and Marysville in Victoria, last week with a friend and we were trying to see if we could take some photos of the rain forest around the main road that goes through it. It wasn’t easy and in the end we left because there aren’t too many places were you can take photos. It is such a beautiful area and with it only being about an hours drive from my home, it seemed like a great place to go. We did find one place where we could stop and take a look. There was a bit of a path there, so we went up it a bit. It was early in the morning and the light coming through the trees was very soft, if that is the right way of putting it. I had to do a photo for Monochrome Madness 35, and I thought one of these might be really good for it. So I started with one, then just kept going. I end up doing 5 of them. I don’t think they are all bad, but I didn’t like any of them for Monochrome Madness, but I hate working on photos and not showing them. I’m just going to put them into a gallery for you to see, I think that is the best idea, then you can just scroll through them. The image I ended up choosing for MM35 was one I took a couple of years ago, but you will have to wait until Wednesday to see that. Last week I was trying to photograph the full moon. The weather here was horrible for it. I did have one image that I thought would be a good image for a post on Black and White Photography the full moon. 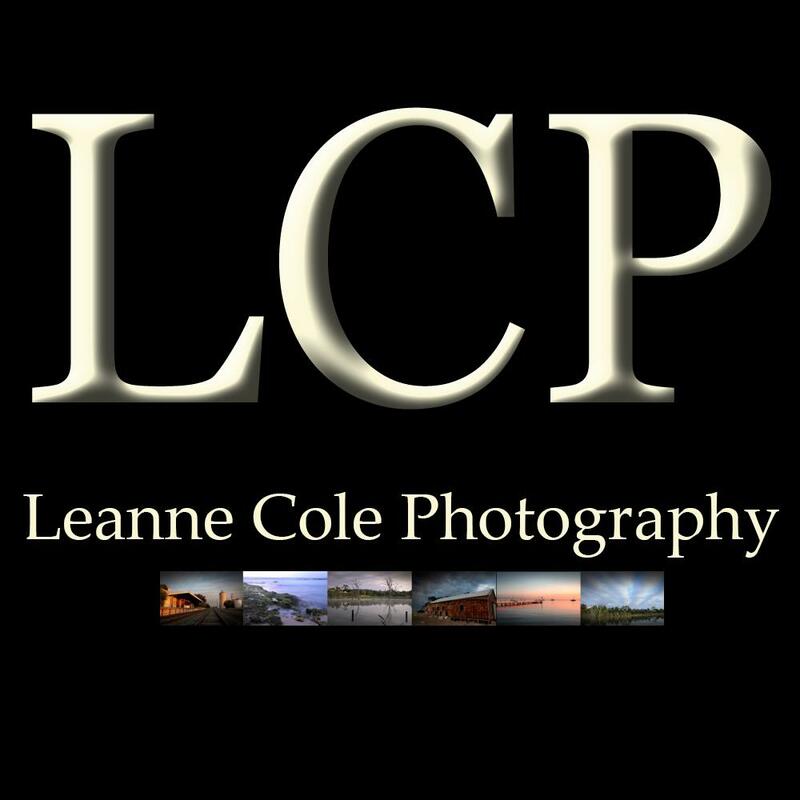 I am also using it for monochrome madness this week over on my main blog and I will put a link here to that post here on Leanne Cole Photography. This is my submission for MM33 this week. I have had the image on Facebook, Flickr and Google+ and a few people have asked me how I got it, so I thought I would share it here. I have explained it a few times how it is actually two images put together. The moon is so bright and if you try and take a photo of the clouds and the moon, then you can only get one part of it. This was the original image for the clouds. I like the way I have got the clouds, but, as you can see, the moon is totally burned out and there is no detail in it at all. It really isn’t what I was looking for. This was taken a few seconds later, and you can see that there is a lot more detail in the moon, but all the clouds are gone. I took the image with the clouds and then I took the image with the moon, cut the moon out and moved it onto the blown moon with the clouds. It has given the moon a lovely halo. The one I put on my social media sites was in colour, but I did something weird to it when I was processing it. I am not sure what, but when I decided to redo it, it seemed like a good idea to do it black and white as well. The reworked on turned out a lot better. It really isn’t a good reflection of what the evening was. It really was a night of cloud watching, not moon watching. We would start to see the moon popping out from the clouds, and we would jump up and see if we could get some photos before it disappeared again. It was really frustrating.